A few years back I signed up to edX and at time there weren't that many courses available so after the initial excitement of being able to do MIT courses died down, my account was dormant for quite a while, more on this later, until last year I decided to try to learn Python and rather than using LTCTHW or Code Academy, I thought I would try a Python course instead. 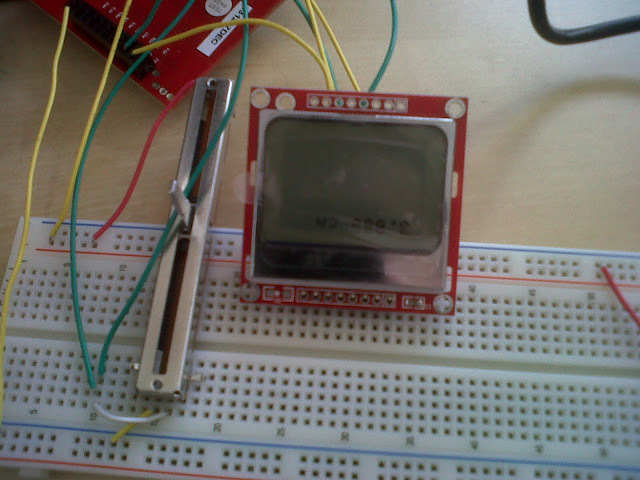 Although the course can be completed without an embedded system, it is, of course, recommended that one is used. Buying instructions for the recommend kit (TI Tiva LaunchPad and some bits and bobs) are provided and not just for the USA. This I found a really nice detail, as I can imagine that probably the majority of people taking the course were not in the USA and it's really one of the many examples of the kind of involvement and enthusiasm that the staff exudes. My main problem with MOOCs so far has been a combination of lack of motivation, I find it hard to follow through on a topic that, while interesting, might not be applicable for work, current or future, or even daily life and this is not to say that I only learn stuff that's useful, I don't, my head is filled with objectively useless facts, such as the Band Gap of GaAs being ~ 1.42eV (I did not look it up) or Juan Manuel Fangio having won almost half of all the F1 races he participated in or one of my favourite words, biblioclasm. The other reason, and this is probably, the main reason, is lack of time. A lot of the courses suggest a 10-15 hour weekly commitment, this might not sound like much, and in fairness it isn't, most of the time, but some times it is and this is where the Embedded Systems - Shape the World course gets it completely, and absolutely right. The first seven lessons were available when the course started, and the most of rest of content was made available shortly afterwards, so that effectively two weeks after the course started 85+% of the course materials and labs were available. This is completely at odds with the way that most courses release their material, which is done on an almost weekly basis, with homework(s) due almost on a weekly basis. I find this terribly disappointing. What is the point of doing a course online when you have to basically do it at a pace set for you? I appreciate that I'm doing it from the comfort of my home but even so this is very likely a major contributory factor to the really poor completion rates in MOOCs. Although I'm not doing the courses for the grades, it's always motivating to be able to get a good grade and the course runs on a very tight schedule a busy week at work or trip can prevent keeping up with the course schedule. I don't have a CS degree and I've had a interest in low-level programming for a while now, but I've never really taken the time to explore this in any detail as I've always found it pretty daunting, but in the course concepts ranging from CPU instructions and registers to interrupts and device drivers are explained in a simple and accessible manner. In fact, it is explained in such a manner that it's made me lose some of the awe for the guys and gals doing the low-level stuff. I realize that this is silly, as the drivers that are part of the course are extremely simply but it feels as if a veil has been lifted and beneath it, the truth has been revealed. Well, it works on my machine. Generally speaking the code was not robust enough and it needed tweaking. I imagine that there are probably more sophisticated simulators available, but the cost is likely to be prohibitive. This is not unlike apps for the myriad Android phones out there. One thing that was quite surprising at first, although it makes sense since we're are so close to the bare metal, is the way everything is referred to by memory address. For instance, if an application needs to use bits 0 and 1 of Port E, this required knowing the exact address of these bits. Thankfully, these were provided on the skeleton projects but they can also be looked up on the spec sheets. This is, incidentally, an invaluable skill due to large catalogue of systems and components out there. This is a very simple program, that flashes an LED that's connected to bit 1 of Port E, based on whether a switch connected to bit 0 of PORT E is pressed, and I think it illustrates the point above. Also note, how the delay function counts, effectively, the number of cycles. I've removed the initialization routine, which in essence, gets the physical board running and activates the various ports as needed. I found quite a few of my issues on the physical board where down to issues in the initialization routine, so it's by no means trivial. The gradual increase in complexity of the physical circuits that needed to be built was very finely tuned. Chapter 8, finally required a circuit to be build, not just using the TI Tiva LaunchPad and it was really nerve racking, I don't really know why, as I think it was only £20 worth of kit, but there were diagrams available and enough warnings regarding what to do and more importantly what not to do, that I built the circuit without any issues. This, actually, ended up becoming the most enjoyable activity of the course, the actual building of the circuits. 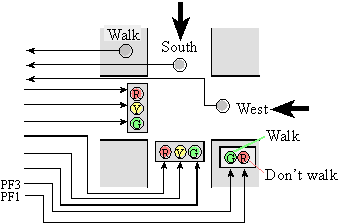 One of the hardest labs, was chapter 10, where a Finite State Machine is used to model a simplified traffic light system for an intersection. I actually really enjoyed this lab even if it took quite a bit of pen and paper to get the design right in the first place. Also, one of my better pictures :). 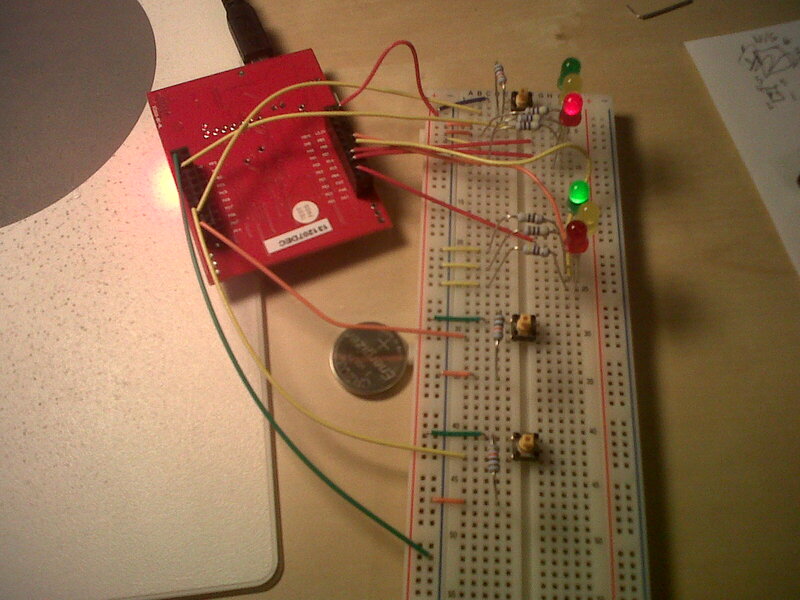 The switches (yellow parts in the middle of the breadboard) model a sensor that detects cars or pedestrians. Chapter 10 - Real System. This is not a great picture, but it shows the TI Tiva LaunchPad interfacing with the Nokia 5110 screen. In Chapter 14, an ADC was used for to measure distances. This works by moving the slide potentiometer, measuring the changes in voltage, which can then be converted to a distance, after suitable calibration. In the penultimate chapter of the course, all that was learned during the course is put together on a sort of final project: a games console. This involved designing the game and then putting together the circuit to build it. Although it might sound daunting as usual there was a lot of help in the form of skeleton code. The hardware part, was relatively simple in that it consisted in putting all that had been learned previously to use. An interesting exercise, you can see the results, not mine, I was too late, here. The last chapter of the course, involved the Internet of Things, which I have to confess, I haven't done yet, as I've procrastinated on getting the WiFi booster pack for the Launchpad and this brings me to another issue with most other courses: The graders. In other courses, I've done these became inactive when the course becomes inactive and, to be fair, it's the same with this course, but there is a massive difference, the graders in this course work by checking a hash (The hash is computed by the grader software that is run in the local machine) and thus, it is entirely possible to check that your programs work as intended regardless of the course status, this is very welcomed novelty for me and I don't know why this is not the case for more courses. I should point out that the last chapter does require access to a server, which to be fair could've been mocked to allow offline access. The server is still up 2+ weeks after the course ended. This post has gone on for far longer than I originally intended and I haven't even talked about Electronics, which is a pretty important part of the course, but I will stop here. I would like to end the post by thanking the staff on the course and particularly Dr Valvano and Dr Yerraballi, for making this course very accessible, really enjoyable and tremendously educational. I really hope that a more advanced course is made available by Dr Valvano and Dr Yerraballi, at some point in the near future. This post doesn't do the course justice, go on, just go and take it, you will enjoy it.